Are you worried about the cost of your lab? Do you want to track the lab cost for the current month? Your wait is over, and now you can live in peace! Today, we are releasing a Monthly Estimated Cost Trend chart, part of our longer roadmap of enabling cost thresholds in the lab. 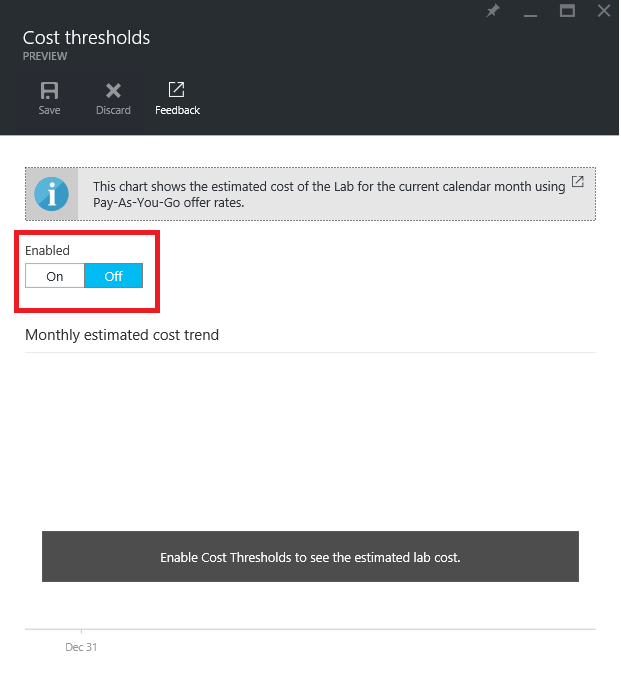 You can enable the chart by going to the Cost thresholds policy under the lab settings. It can take up to 24 hours before you can see the cost. FAQs What is not included in the cost calculation? Your offer rates. Currently, we are not able to use your offer rates (shown under your subscription) that you have negotiated with Microsoft or Microsoft partners. We are using Pay-As-You-Go rates. Your billing currency. Currently, we are showing the lab cost in USD currency. Is there any time lag in reporting the cost? Typically, 90–95 percent of the cost is reported in 24 hours. But in cases of live site issues, outages, and other reasons, it can take more than 24 hours to report the cost. What is the data refresh interval? Currently, data is refreshed every 24 hours. Please try it today and let us know what you think about it! 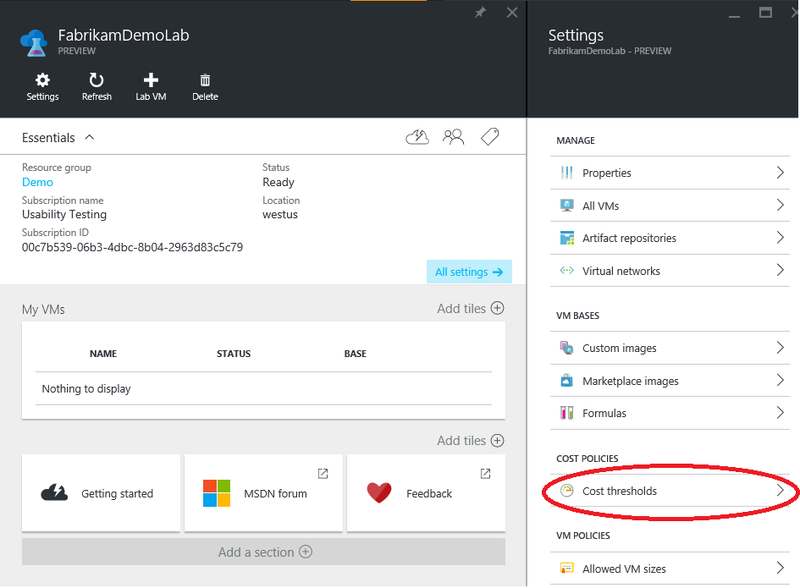 If you have an idea for how to make it work better, submit your feedback (or vote for others) at the Azure DevTest Labs feedback forum. Have a question? Check out answers or ask a new question at the MSDN Community forum.